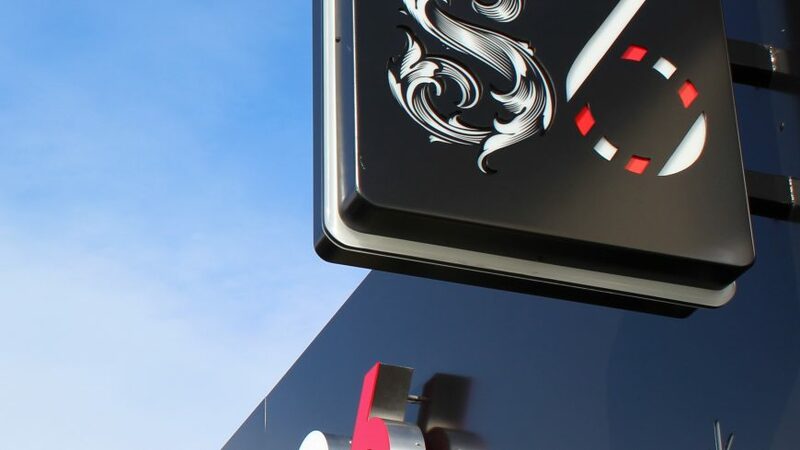 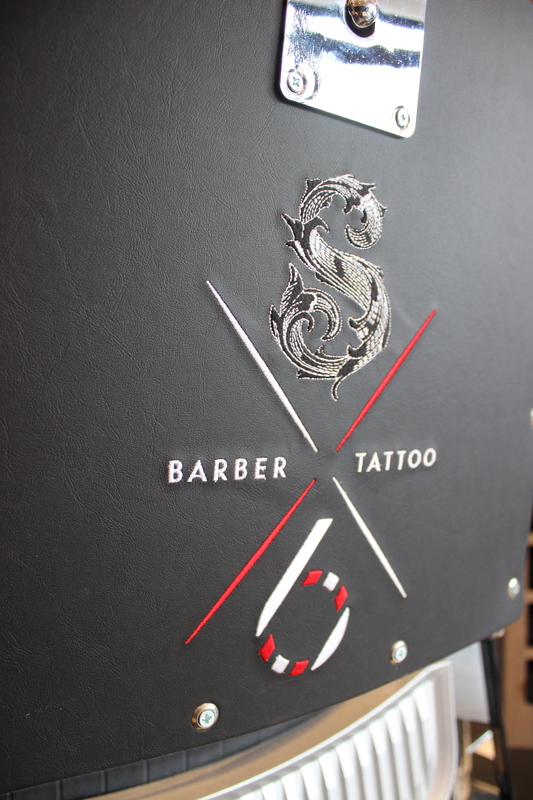 The brief was to convert an abandoned 1940’s clothing shop into an ultra modern barbers and tattoo studio, eluding the feel of a ‘man cave’. 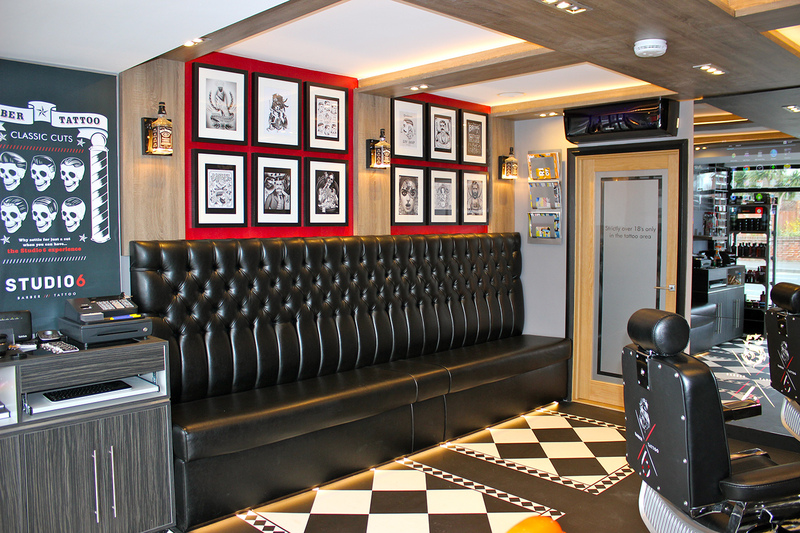 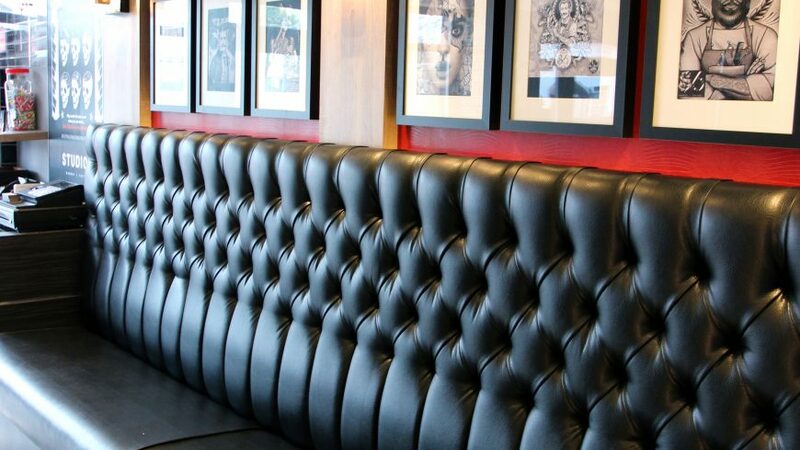 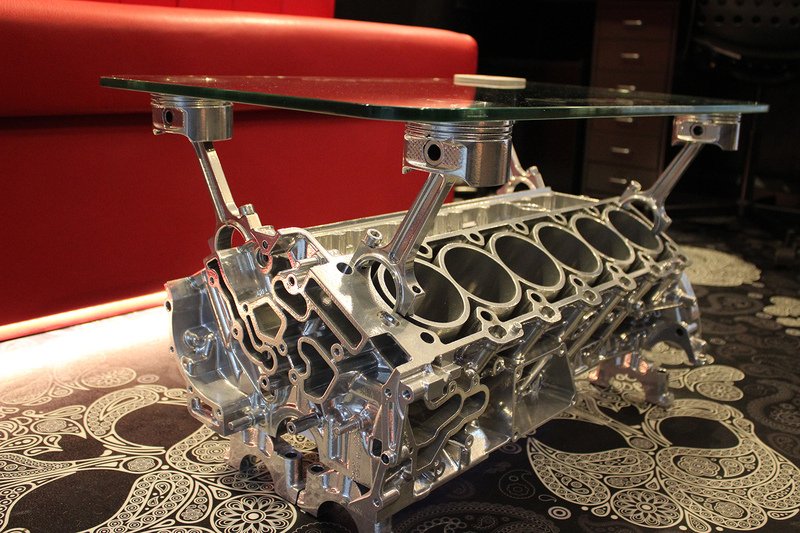 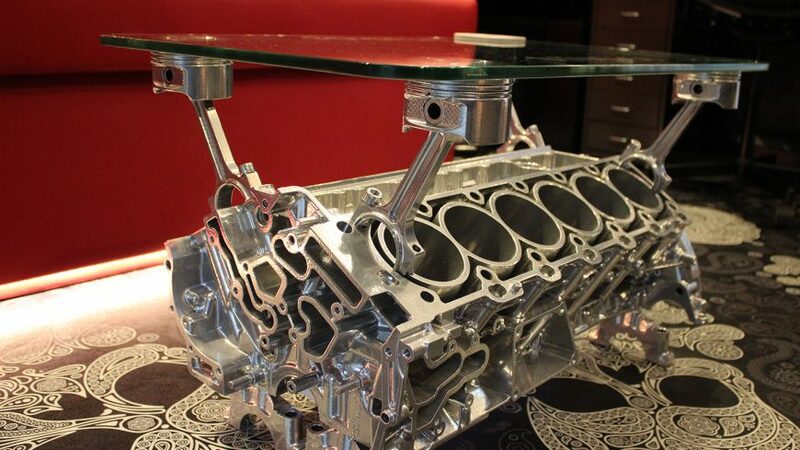 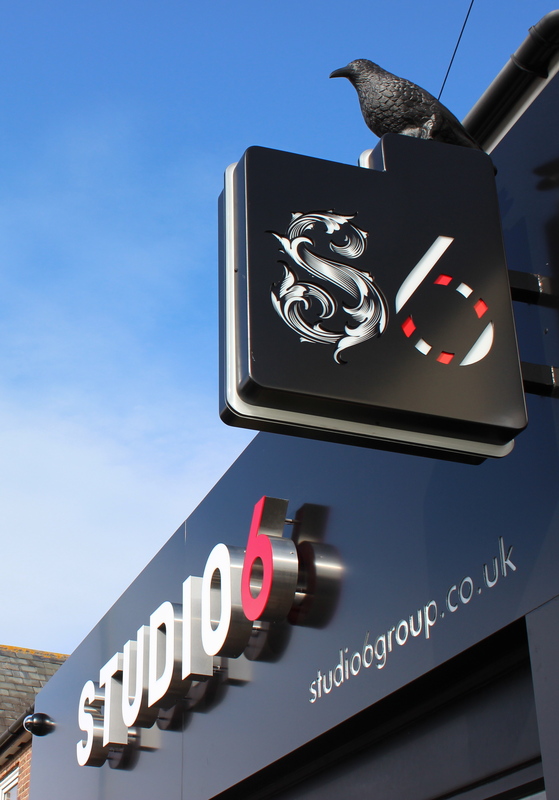 Our client also wanted to provide customers with entertainment in stimulating surroundings. 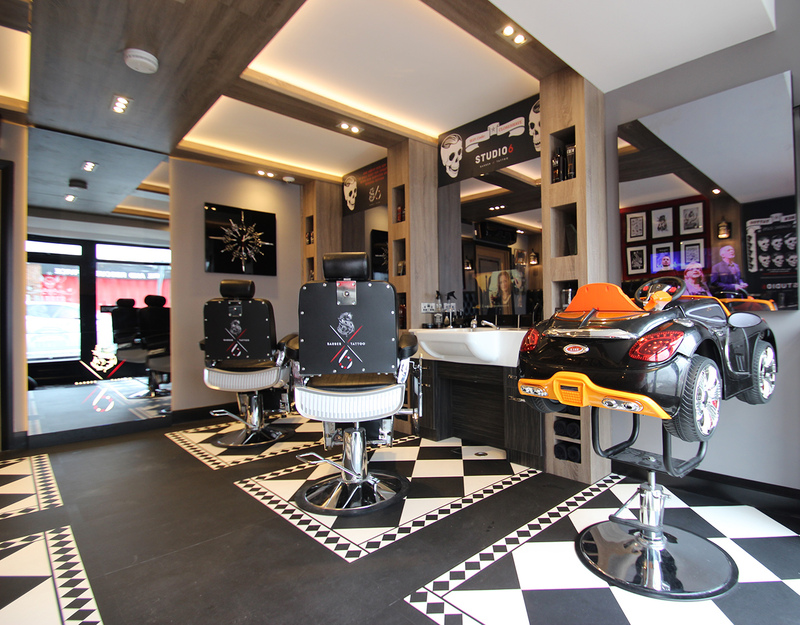 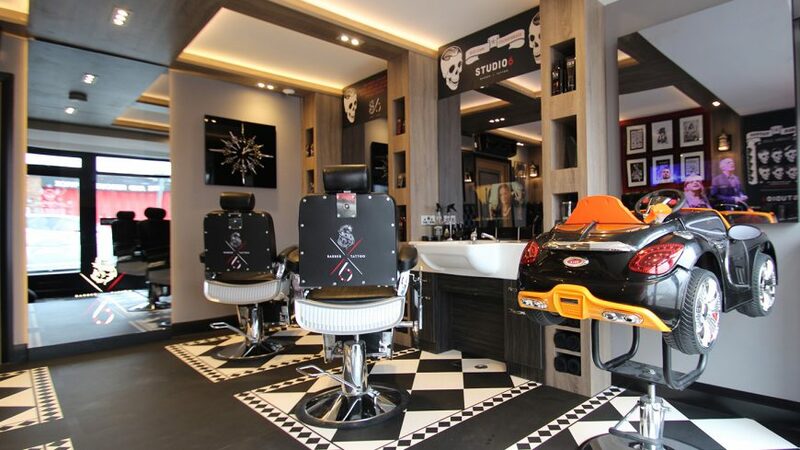 Mirror TV’s were installed in front of the barbers chairs to occupy the customers and a custom made child’s Bugatti car fits the brief of child satisfaction. 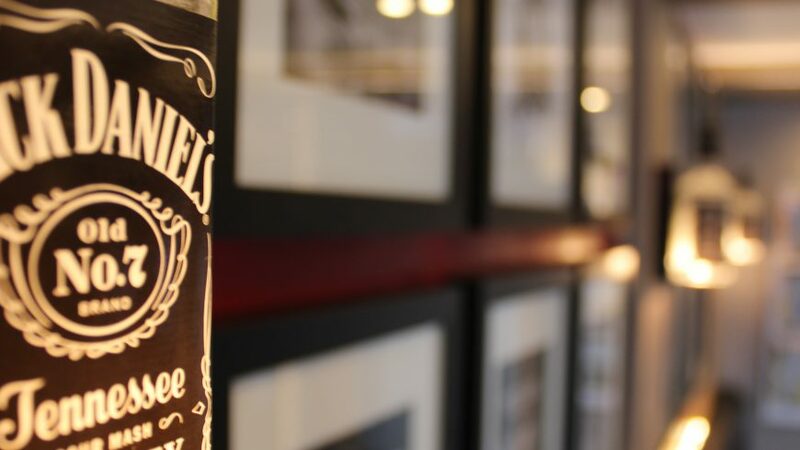 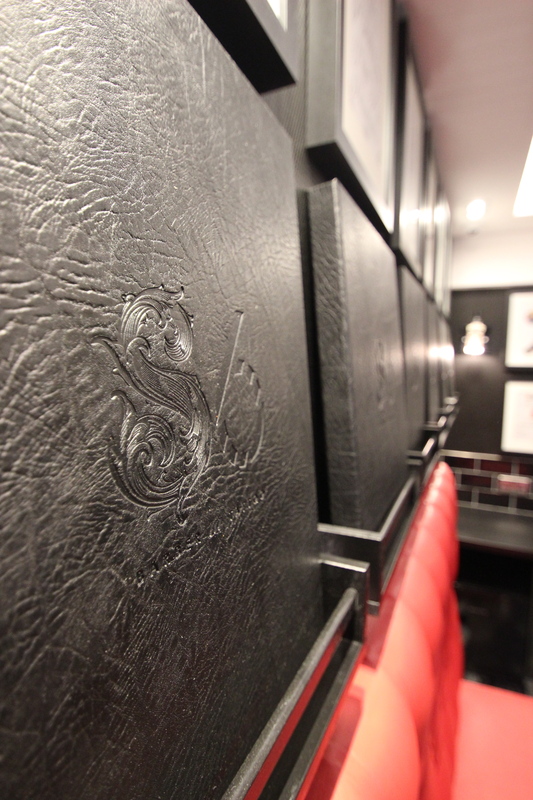 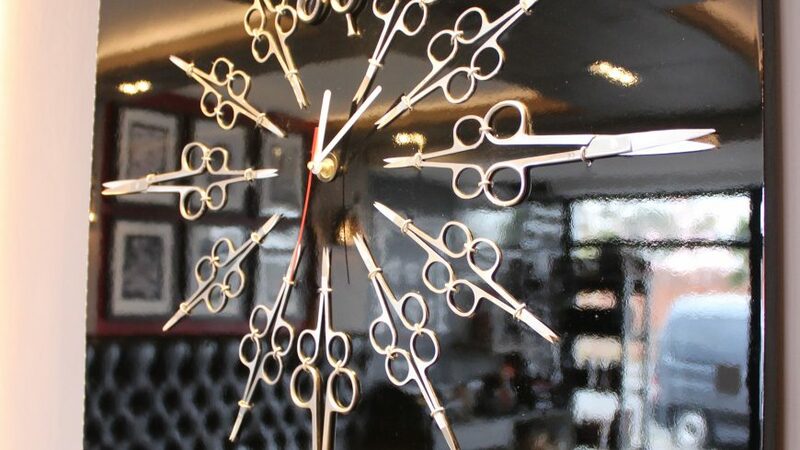 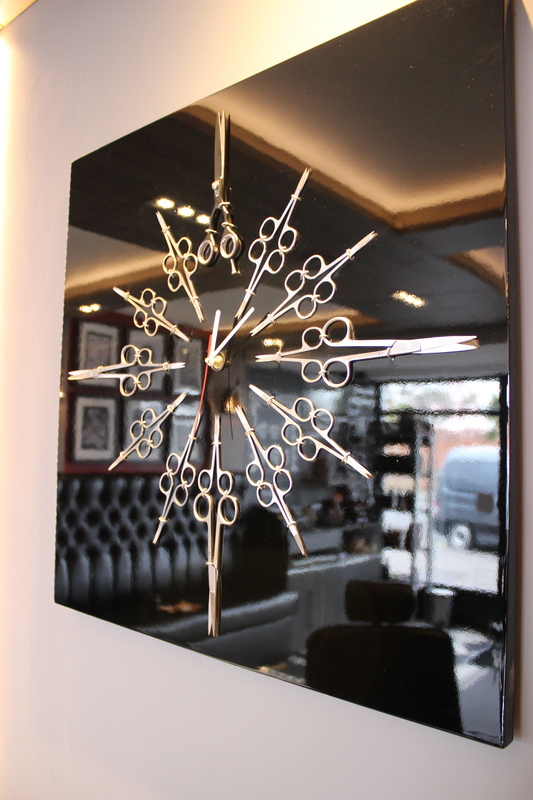 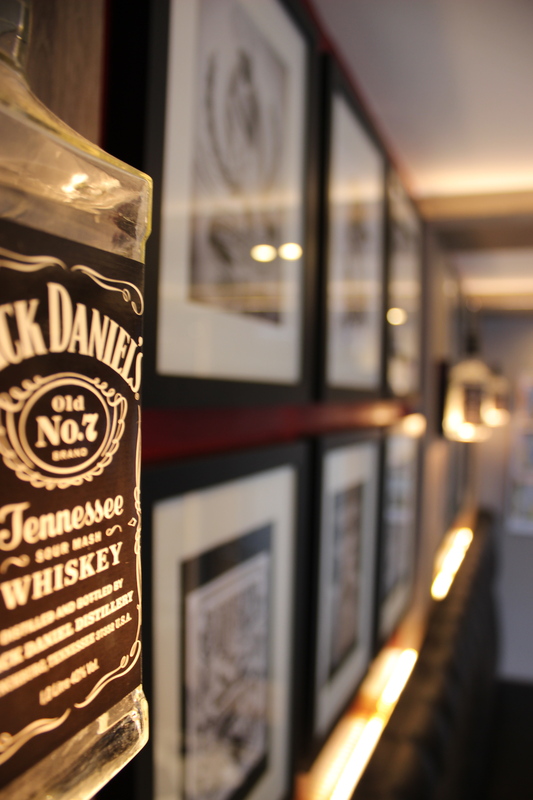 Bespoke Jack Daniels bottle wall lights and a custom made scissor clock adorn the walls to add interest and light. 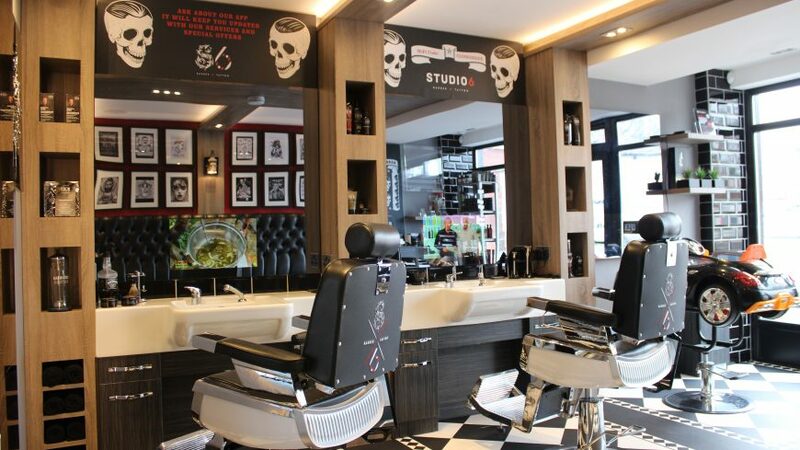 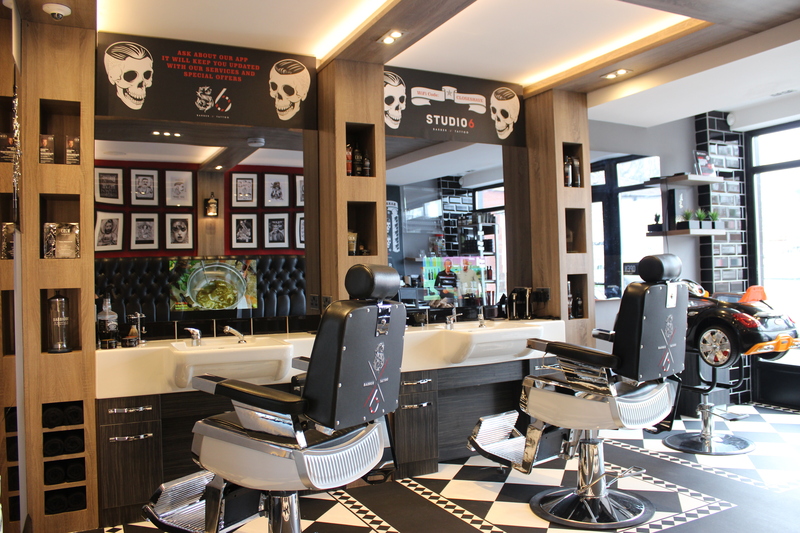 The overhead joinery provides symmetry to the uniquely designed floor, which has a quirky twist on traditional barbershop flooring. 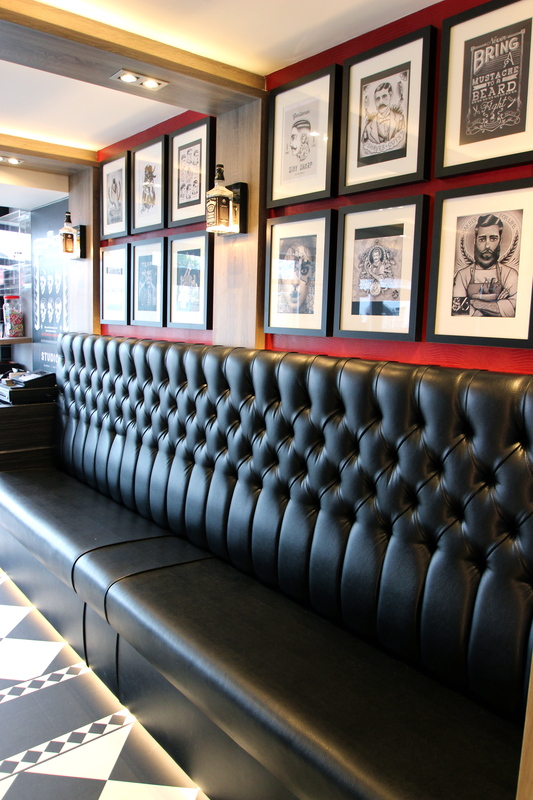 Hidden lighting was used throughout to create interest and atmosphere. 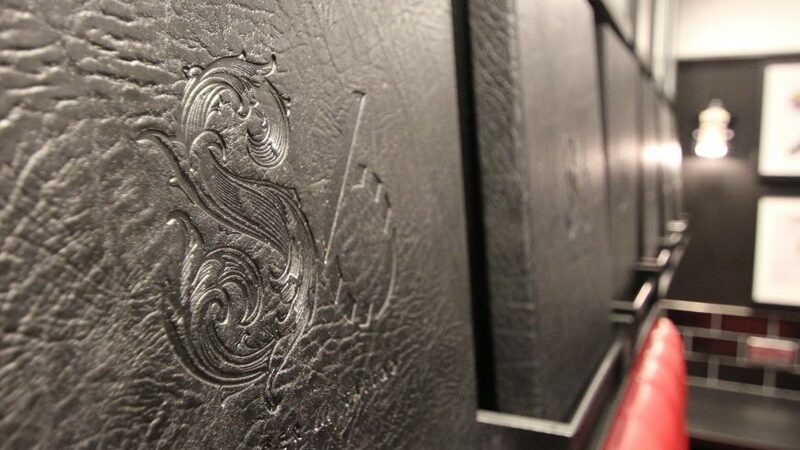 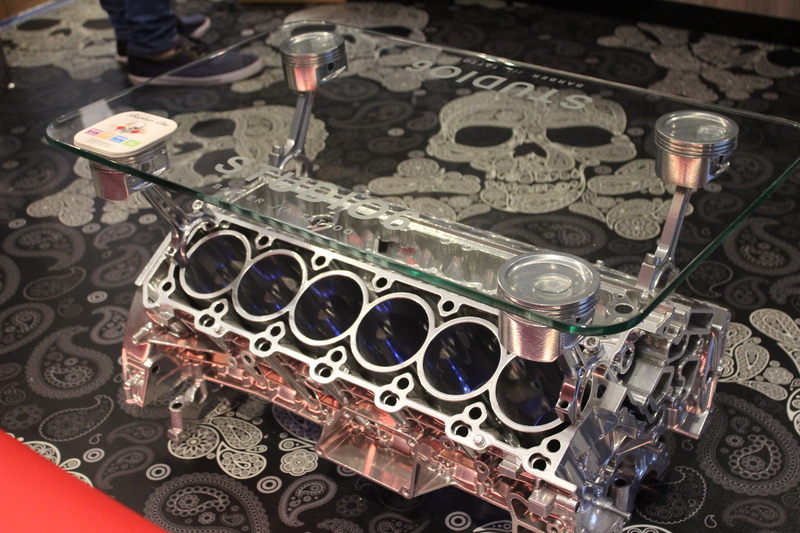 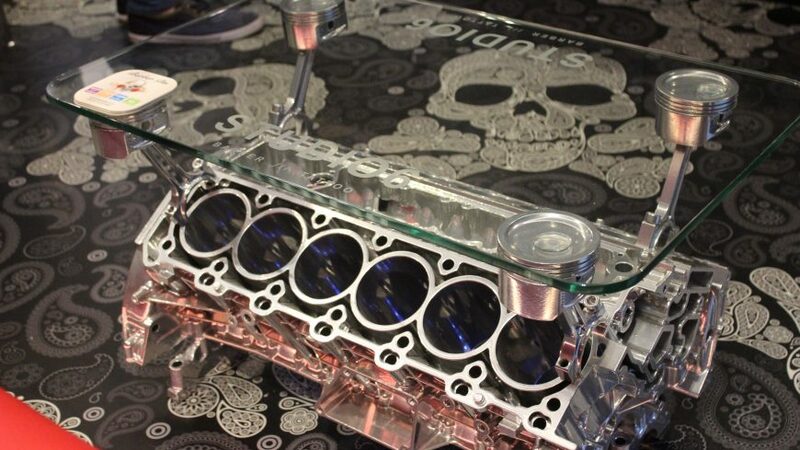 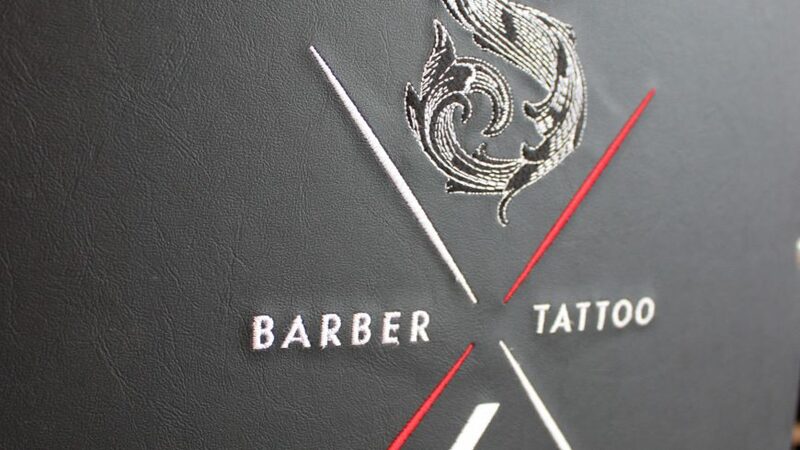 Other custom made pieces include the 3.2 meter deep buttoned bench seat, touch screen computer technology for accessing tattoo artwork, media screen with graphically designed logo, embroidered logos on the backs on the barber chairs, engraved razor stands, Jack Daniels spray bottles, bespoke skull vinyl flooring, logo embossed leather folders, a box framed silver bison skull and a powder coated V12 Mercedes engine coffee table which has ‘Studio 6’ laser etched onto the glass top and blue hidden lighting.